21 October is National Apple Day, and it’s the time of year when we take our expertise about apples out and about. 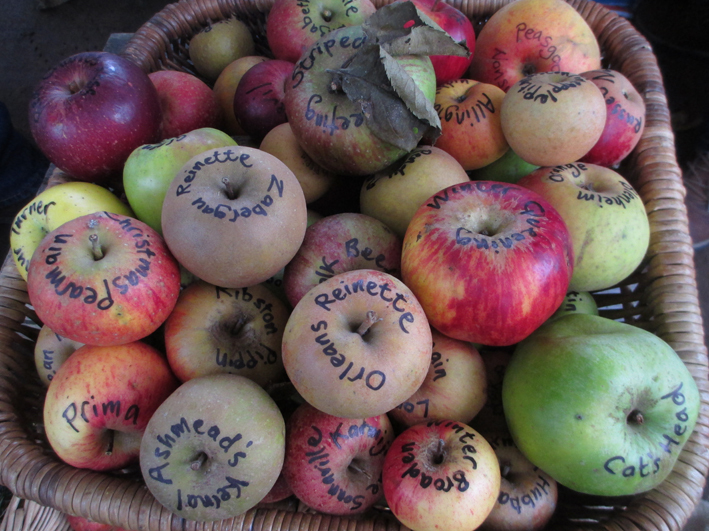 With our friends from the East of England Apples and Orchards Project, we will be at Apple Day events across the region, helping to identify apples that are brought in, and spreading the word about the amazing varieties you can grow at home. Here’s a list of all the Apple Days where apple identification is on offer, but there are more events happening so do pop along to your local event.